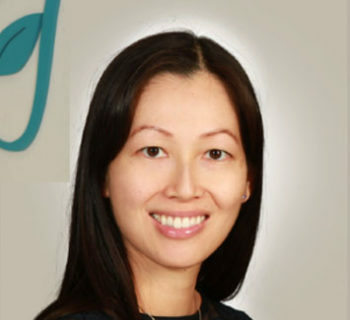 Dr. Stephine Wong, General Dentist, grew up in Vancouver where she obtained both her Bachelor stephine wong calgary dentistof Science and Doctor of Dental Medicine degrees from the University of British Columbia. In 2011, after practicing for 10 years, she got married and was lured away from the beautiful west coast to join her husband here in sunny Calgary. Dr. Wong is passionate about dentistry and enjoys working with people. She believes in educating her patients and involving them in their treatment decisions. She enjoys all aspects of dentistry and believes in keeping up to date so that she is able to provide comprehensive dental care for her patients. She has taken hundreds of hours of continuing education courses in periodontics, orthodontics and implantology. Dr. Wong is committed to providing quality dental care in a gentle and personable manner. In her spare time, Dr. Wong loves to travel, read, hike, watch movies, and eat.